* Are rodents or other hairy animals causing you a problem? * Do the different types of pest control products confuse you? * Not sure which effective method to use to get rid of a particular pest? * Does the use of poisons around your home worry you? * Wondering if you should use humane traps or to use kill traps? Did you know a rat can chew its way through a solid brick wall? The interior wood or plasterboard wall of your house will pose no problem for them to get through! Rat’s teeth never stop growing. If they don’t continuously gnaw, their teeth will keep growing to unmanageable lengths. Rats are members of the Rodentia order of mammals, which includes mice, gophers and squirrels. A single mouse will eat around one third of a pound of food in a month and leave about 3,000 mouse droppings in the same time period. But worse than that, a single mouse will contaminate 10 times more food than it eats. That’s just the food – it will eat, chew and gnaw just about anything it comes across too. 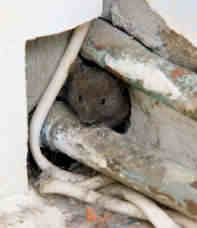 Rats and mice often damage your house by causing electrical fires. They do this by chewing the plastic casing of the wiring of your house, causing wires to short circuit and result in a fire. Rats and mice also carry lots of nasty diseases. Do you want to share your house with a rat or a mouse? Or would you rather use the right pest control techniques and kit to get rid of them? You may think that seeing a single mouse in the house is no big deal. Think again! A female mouse can have up to 10 litters a year. The average litter size is six babies, so that’s 60 more mice in your house per year from one female. How many female mice are in your house right now? And remember this: they are more prolific in your house than they would be in the wild as they have much better access to food and shelter. This is why it is vitally important to stamp out an infestation immediately upon discovery! You can detect a mouse infestation by finding shredded paper or cotton material scattered about the place, or by finding gnawed furniture or woodwork, and being aware of the telltale musky smell which mice have, according to the Entomologists at the Illinois department of public health. You will only occasionally see mice during daylight hours, but you may see the tracks they leave. What Is an Electronic Trap? 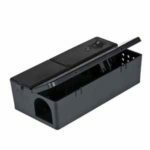 An electronic rodent trap is a device comprising of a box-like device with an entry point at one end and sealed at the other. 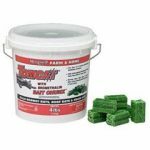 It uses an appetizing bait to entice rodents, mice and rats primarily, to enter. 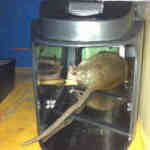 Once inside, the rodent is unable to escape, and a high voltage electric shock is delivered to the animal, which kills it, usually within a few seconds. The electronic rodent trap is generally guaranteed to kill the animal, unlike traditional traps that can sometimes severely injure the animal, leaving it to suffer before it is found. 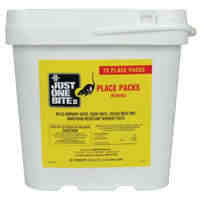 The traps are also a cleaner trapping method, making disposal easier. 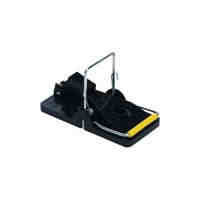 The electronic rodent trap will start a green light blinking immediately after killing a rodent. However, it will only blink for the first 24 hours, so it is necessary to check the trap every day, especially in hot weather as a body left alone for several days will quickly rot and cause an obnoxious smell. 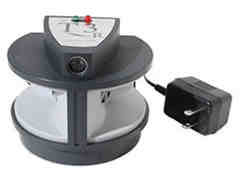 We consider the electronic rodent trap to be an efficient and humane way of getting rid of rodents in the home. As there are no poisons used, it also makes the environment safer for pets and small children. What is an Ultrasonic Repellent? 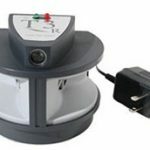 Ultrasonic pest control works by emitting high frequency ultrasonic sound waves, usually in the range of between 32kHz and 64kHz. The waves are produced in a swept frequency that changes continuously between 60 and 80 times a second. Rodents cannot stand the noise. It is akin to the human experience of being close to a hammering pneumatic drill. It causes stress in the animal, and they leave the area to escape the noise. The unit operates in a frequency outside of the range that can be heard by humans and household pets, making it safe to use. It does not involve poison or a potentially dangerous mechanism. It is very popular as a squirrel repellent. An ultrasonic device has a relatively short broadcasting range. They are suitable for large rooms, but usually cannot cover an entire house. A particular group of rodents can usually adjust to an ultrasonic repeller, given time, which makes its effectiveness limited in the long run. We consider the ultrasonic repeller to be a humane and safe method to use, though perhaps not the most efficient method. What Is a Snap Trap? 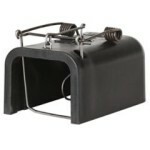 A snap trap is the original and best known type of trap and is used for catching rats or mice. Albeit you will have a larger one to catch a rat and a smaller one to catch a mouse. According to Wikipedia it was invented in 1894. It works by having a spring loaded bar attached to a flat rectangular-shaped piece of wood or plastic. The bar is held open by a trip release mechanism, on which a piece of bait is attached. When the mouse or rat starts to nibble the bait, the vibrations are enough to trigger the release, which allows the spring loaded bar to snap down on the wooden base, usually striking the rodent on the back of the neck and killing it. The trap can be highly effective and death can be instantaneous. Sometimes the spring loaded bar does not strike the rodent in a place that causes death, which usually means it severely injures it instead. This causes suffering for the animal, and it may also mean that you have to kill the animal upon discovery. A snap trap can also be dangerous for pets or small children. We consider a snap trap to be quite inefficient at controlling rodents, but the effectiveness can be improved, for keeping rodents under control, when it is used in-conjunction with glue traps. They frequently cause extreme suffering for the animals and they are messy to deal with after the trap has been activated by a mouse or rat. What Is a Glue Trap? A glue trap is a device, usually a flat rigid plastic sheet, that has a layer of glue attached to it. Bait can be placed in a position that requires a mouse or rat to cross a section of glue in order to get to it. When the mouse or rat steps on the glue, the animal is held in position and unable to escape. The animal will often be found alive, which means it will need to be killed before disposing of it. Glue traps are very effective in holding the rodent in place and preventing it from escaping. They are also non-toxic, which makes them safe to use in the home. The traps do not kill the animal immediately, and in fact they can mean a slow and very painful death for the animal. It can be possible to free the animal, but few people bother to do so. Sometimes rodents will gnaw through their limbs in an effort to escape, but that simply causes them further suffering. We consider glue traps to be largely ineffective and a cause for suffering to the animals who get caught. There are better, more humane ways for controlling rodents. What Are The Different Rodent Poisons? 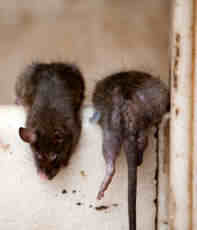 There are various poisons available on the market used to manage rodents, which are a nuisance. While there may be many different merchandisers and brand names, they all fall into basically two categories: anticoagulant and hypercalcemic. Anticoagulants are the most common type of rodent poisons. They work by blocking Vitamin K in the animal’s body, which causes spontaneous bleeding which doesn’t stop, thereby causing the animal to die. Hypercalcemic agents work by raising the level of calcium in the animal’s body to toxic levels, thereby causing death. The different rodent poisons are extremely effective in causing the death of rodents who ingest the poison, usually because it has been added to a piece of bait that the animal finds tempting to eat. The use of different rodent poisons will cause suffering in the animal prior to death, and with anticoagulants, rodent populations can build up a resistance to the poison over time. Also, leaving poisons lying around a house can be dangerous to pets, and possibly also to young children. We consider the different rodent poisons to be an effective, but largely an unnecessary method of ridding a house of rodents, as there are other, more humane methods that can achieve the same thing with no greater effort on your part. The NPIC gives specific guidance on rodenticides. Humane traps are used where you may want to rid your house of pests, but you do not wish to kill them. They work by trapping the animal, but not killing or harming it in any way. 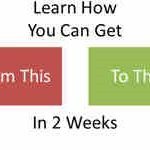 This allows you to take the animal far away from the house and release it back into the wild. 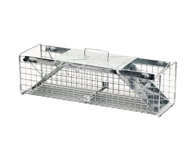 There are different designs of humane traps, but most of them work by allowing the rodent to enter a closed box of some kind where a piece of bait has been placed. 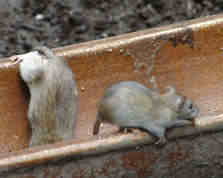 As the rodent walks through the structure, it will typically trigger a mechanism that prevents the mouse from escaping. Humane traps are safe for everyone in the house. They cannot harm pets or small children, nor do they harm the animal they trap. It is necessary to check humane traps regularly as mice can get stressed by being trapped, which could accelerate the effects of dehydration, thereby causing suffering to the animal. Humane traps should not be left active if you plan to go away for a weekend, for example. They should be checked at least once a day in order to remain a humane choice. We consider humane traps to be effective for managing rodents, but it does take a good deal more effort and the equipment is a lot larger. Prevention is better than cure. Seal up all holes and openings, no matter how tiny, that you can find in the outside walls of your home. Mice can crawl through a hole just one quarter of an inch in diameter and rats half an inch in diameter. Use a tight-fitting lid on all metal garbage cans to prevent access, and keep the yard and garden clean and tidy. Keep all foodstuffs in the house sealed in glass containers where possible, and use sealable rodent-proof containers for all pet food. Thoroughly clean an area where rats and house mice have been with strong disinfectant, and inspect the house daily for signs of rodent infestation, taking prompt and appropriate action whenever necessary. This is the advice given by Southern Nevada Health District. Another term for prevention is IPM, which stands for integrated pest control management which talks about cleanliness to prevent rodents from taking an interest in your property. Rodents, like mice and roof rats, are called pests for a good reason. They have the ability to spread over 33 diseases. 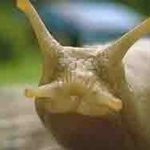 You can catch these diseases from rodents droppings, their saliva and urine. You can also catch a disease if they bite you – hence needing a mouse trap that kills them outright. You can also catch diseases from fleas, mites or ticks which have been feeding on the rodent. This is the information supplied by centers for disease control and prevention. Snakes eat mice, and they will also come into your home and garden hunting for them. This will then be yet another creature needing to be kept in check. We want you to live in a pest-free environment. To this end, we look at the wide range of merchandise available on the market for controlling pests and offer lots of help and advice for getting rid of them. This is what this site is all about. We will also guide you through the minefield of choosing which products to buy and other pest control tips. Our free downloadable Do It Yourself Pest Control & Choosing the Best Animal Traps to Buy guide will also help you with this. The Rodar Ultrasonic Squirrel Repeller is the most powerful squirrel repeller on the market. Read how it compares with other deterrents and cage traps. There is a wide range of mole traps on the market and sometimes it is difficult to know which are the most effective and easiest to use. 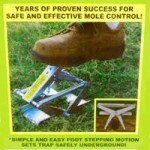 Read this review to understand what to look for in a mole trap, compare the top three traps and read what other people have said about them. 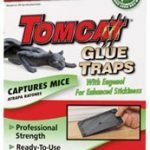 Learn about the best rat and mouse glue traps, which ones to use for rats and which ones for mice, where to place them and how to get exceptional results. 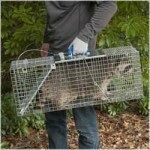 Here we review the most effective traps and repellents for fending off Raccoons, who have invaded your property. Plus top advice on how to use products. 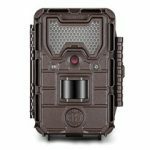 If you are having problems identifying whether you have a rat or mouse infestation, and you don’t know where they go at night, get a camera trap.